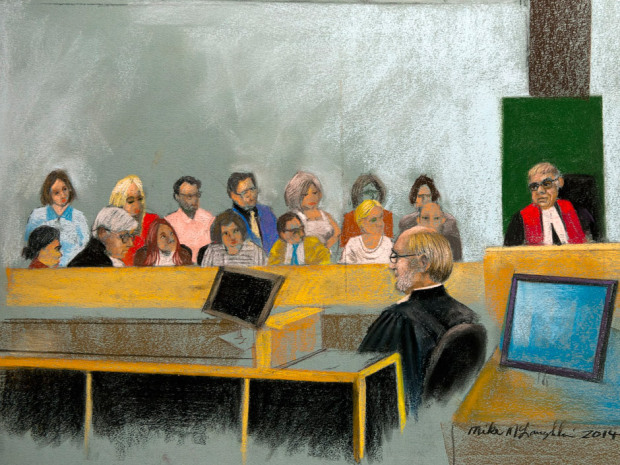 In the imitable words of Katie Kempster, the most astute member of the public gallery, the Luka Magnotta trial in Montreal was a hot mess. Now in its final stage, with the jurors safely sequestered and deliberating their verdict, it was one of those trials that had it all — a weirdly theatrical defence lawyer who seemed oblivious to the usual court decorum; a judge who had to gently rein him in so as to keep the trial on track and sometimes even to protect Mr. Magnotta from the vicissitudes of his own counsel; a purported break-in of the jury room that wasn’t; and an unlikely ray of goodness from a corporate law firm that gave fresh life to the term pro bono. 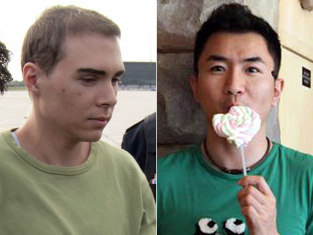 Luka Magnotta, left, admitted to killing Jun Lin but his defence said he is not criminally responsible due to mental illness. And all of this, mind, unfolded in an itty-bitty courtroom, which, in addition to the lawyers and police directly involved in the case, had seats for all of 13 people — and this for a case that was among the most high-profile held in Montreal this year. There were some unique Quebec touches. Before the trial began, local journalists petitioned Quebec Superior Court Justice Guy Cournoyer to reserve four of the five available media seats for eight local news organizations, and he agreed. That left one single seat in the room available for out-of-town journalists, and at the start at least, there were several of these, me included. That meant in the early days lining up outside the courthouse as early as 4 a.m. while the locals could saunter in moments before the action started. In the end, when the local media group — the cabal, as I un-fondly called it — realized that one of the reserved seats was being occupied by a Torontonian (the group actually put this in writing) who happened to be me, they promptly stripped the local paper of its shot in the reserved pool. It was a surprisingly parochial touch unusual in the normally collegial ranks of court rats. And then there was the jury itself. What readers may not realize is that while it’s not uncommon for jurors to ask questions of the judge during their deliberations — either about a particular piece of evidence, or law, or procedure — it’s relatively rare that a jury asks questions during the course of the trial proper. In fact, I can’t remember ever seeing it before. These jurors asked, by my count, in excess of 25 questions. They asked about their work hours, repeatedly (told by Judge Cournoyer they wouldn’t sit most Fridays but would be on standby, they wanted to know if they had to report to their regular jobs and when the judge said no, several asked for letters to their employers). They asked for the judge’s opening instructions in French and English, though they were specifically chosen because they were fully bilingual (Judge Cournoyer refused). They asked that the lawyers wait longer, until they’d been handed their copies of the exhibits, before asking a question. Towards the end, they even wanted to ask a witness questions (with the lawyers’ consent, the judge did it for them). And, when one juror had a birthday, they asked for a longer-than-usual lunch break (the usual was 90 minutes) to celebrate it — and then returned late, apparently because the service had been slow. Then came a second birthday and a second extra-long lunch (Judge Cournoyer warned them not to go back to the slow joint) and, by the end of the case, it was a given that once a week, birthday or no, the jurors would have one good leisurely lunch. One juror also asked if it was all right to attend a weekend wedding — at one of the prisons where, conceivably, Mr. Magnotta might end up. As for the purported break-in of the jury room, it turned out that part of the lock was askew, but the seal remained intact and all was undisturbed. For all of the sideshows, however, little could mitigate the sad, unsavoury nature of the trial, or the presence every day of Diran Lin, Jun Lin’s father, who came from China to bear witness — when he could bear it — for his lost child. Yet the father’s presence was itself something of a beacon, in part because he is a gentle, lovely man, and in part because one of Canada’s pre-eminent law firms, Borden Ladner Gervais, is paying the freight. 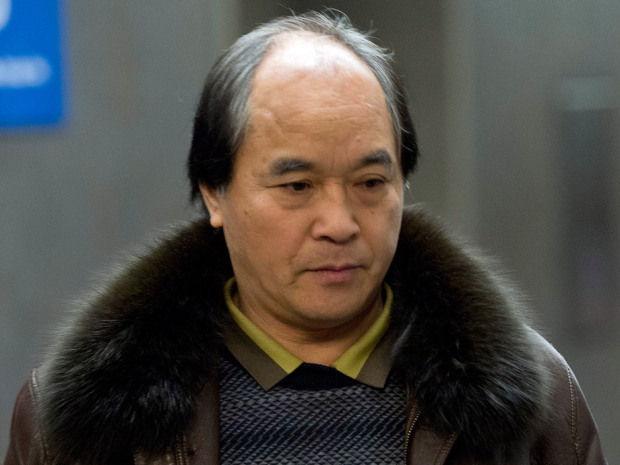 Diran Lin, father of victim Jun Lin. Daniel Urbas, a partner at the firm who travels to China frequently, was touched by the family’s plight and convinced his colleagues that Mr. Lin needed help only BLG could provide. The father speaks neither French nor English, so the firm has paid for professional translators to help him understand the proceedings — and found volunteers to fill in the gaps. BLG has also had a lawyer — once a week it was Mr. Urbas himself — with Mr. Lin and the translator every day of the trial. They often stayed in a small room adjacent to the courtroom, so the father could be spared the sight of graphic exhibits. But they were always there. The father has been living in a flat, arranged by the firm, and to break up his lonely time in a strange country, the lawyer on duty took him to lunch every day in nearby Chinatown, and the firm even took up a collection and treated him to a Habs’ game one night. You’d be hard-pressed to find a better demonstration of pro bono publico, Latin meaning “for the public good,” than that. Borden Ladner Gervais, while they are to be commended on this charitable act, might like to consider making a name for themselves in dealing with those who bring discredit to the Legal Profession, undermine the Rule of Law and bring the administration of justice into ill repute. The Ontario Attorney General, Madeleine Meilleur turns a blind eye when it comes to her female buddies in the Crown's officer in Ottawa who commit "obstruction of Justice" that governments use the term "Prosecutional misconduct". the OIPRD but that's another story. of Service that he had PERSONALLY served the documents on the Family Law office in Ottawa however, Mr. Loomer has a reputation for committing perjury on his own affidavits and encouraging his clients to do the same. all the time, he is famous for it". Robie Stewart Loomer also has a propensity for the dirtiest crimes anyone can commit anywhere in the world. As a lawyer with all the right contacts, from Crown's thru to the Attorney General, he has total immunity from Criminal and or Civil prosecution. fathers have records as pedophiles without a shred of evidence in order to remove a child from a father and place with the child with the "mother's Aid Society" who would predictably tell a judge to give them an order for custody of a child/ren for the mother, exparte, without a hearing or notice. 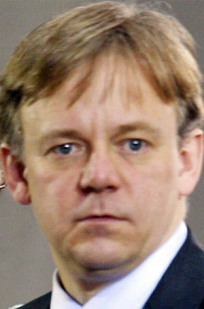 investigate or lay charges against Robie Stewart Loomer. An information charging Robie Stewart Loomer with Perjury reached court by way of a "Private Prosecution" under S.507 of the Criminal Code. Attorney VIVIAN LEE "Stayed the charges". Just how much evidence does it need to "make out a case" for perjury? There is a double standard. One set of Rules for the friends of the Attorney General and another for those are male victims of domestic violence who are convicted of the crime of Heresy if they dare mention that a woman was violent. immunity to her criminal friends, Crown Attorney's & lawyers. There is a dire shortage of lawyers in Canada who will act Pro bono publico despite the most meritorious of cases and where the probability of an dramatic order for costs that go to the Pro Bono lawyer or law firm. However lawyers and law firms are effectively intimidated by the Judiciary not to do so by reason of the outright political decisions made by judges for their former law firms and political associates. There is no worse an example than cases involving the Children's Aid Societies of Ontario were an unbelievable 99% of cases are decided in favour of the CAS lawyers who generally Fabricate Evidence or have their former workmates, now judges former lawyers for the CAS make blatantly corrupt decisions. The Ontario government through is former Ottawa Lawyer turned Attorney General, effectively disencourages lawyers from volunteering to work pro bono even in the most deserving of cases. The reality is the Ontario Government throws Billions of Dollars, unlimited piles of cash for the CAS to act as a free legal service for violent women who the CAS treat as their clients except its not Family Court with regular rules, its a cess pit of rules designed by the CAS for the CAS for which in 99% of cases, the outcome is predetermined by a Corrupt Former CAS lawyer. For any lawyer to go up against this Billion Dollar Funded Criminal Cartel requires some very deep pockets that intimidates the bravest of lawyers. Even at appeals to the Divisional Court insults to justice and CAS Rubber Stamps dominate the judiciary who are famous as Superior Court Judges for "Rubber Stamping decisions for CAS. Ontario is effectively a happy camping ground for the most unethical underbelly of the legal profession and while law firms refuse to fight those cases, we will only see an escalation in the social destruction not to mention the ill-repute that these vile examples of humanity bring to the legal profession. Ontario is also a cess pool of malicious Criminal Charges laid against those not exactly in favour with the Police, Crown's Judges or the those in Authority who abuse their absolute powers. When Ontario changes its legislation to recover costs of criminal defences from the Crown and or the Police who lay the improper charges it will encourage lawyers to take calculated risks in taking on meritorious cases that the Government tries to win by cancelling legal aid certificates on fabricated evidence or failing to comply with the legal aid legislation, or the inter province legal aid agreements which Ontario regularly abuses to win by ensuring that the accused or party is denied legal aid despite being approved in another province. Ontario employs its brightest future Crown attorneys and judges to vigorously fight any application for a State Funded lawyer and almost insurmountable task where the AG lawyer uses Fabricated Evidence to get a daming decision that further prejudices any applicant for a state funded lawyer. When will BLG take on a real Pro Bono Case rather than take the easy publicity of sponsoring a victim of crime to Canada where NO litigation is required.